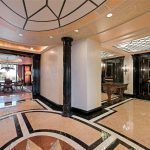 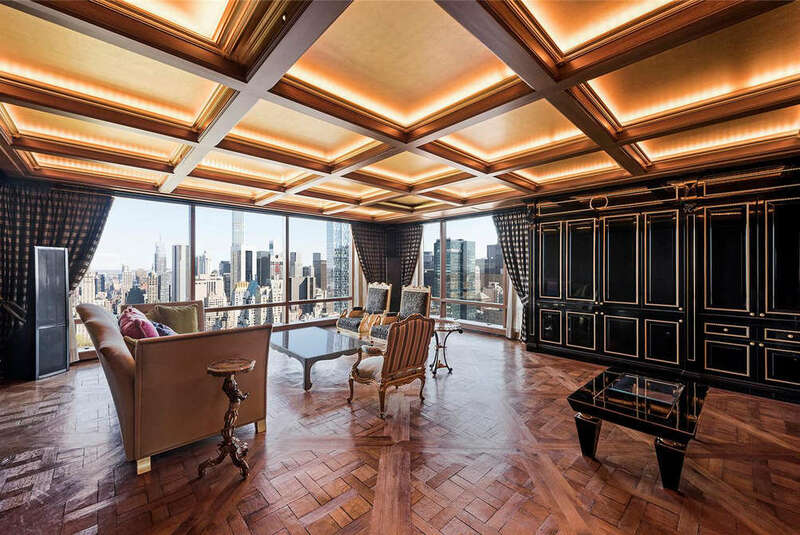 Extravagant is the word to describe this 47th-floor apartment at Trump International, the 52-floor hotel/condo hybrid on the corner of Central Park West. 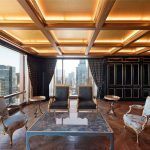 The owner snatched up the 6,360-square-foot home in 2008 and has been recently delivering a number of price cuts to unload it. 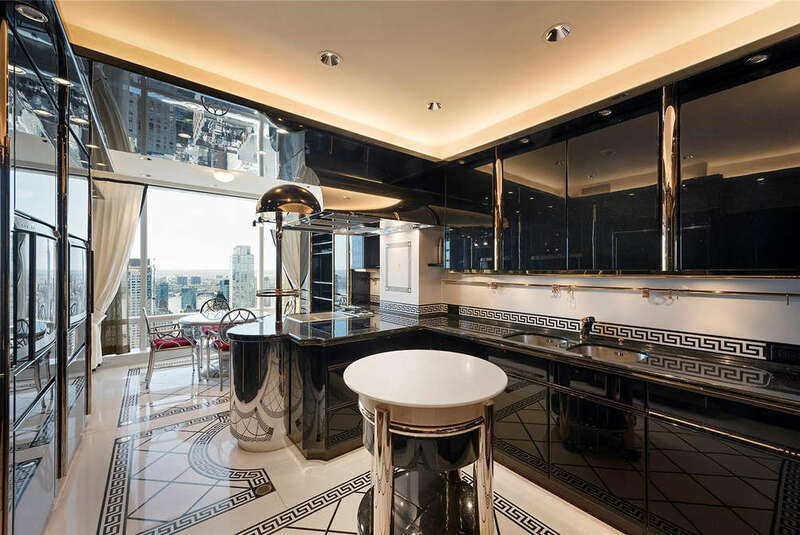 In 2016, the pad was asking $40 million. 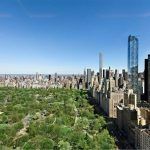 That number went down to $34.5 million this April, and now it’s finally landed at $27.5 million–a 31.5 percent markdown from its original ask. 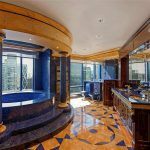 For all that money, however, you’re getting Central Park views, four distinct types of marble flooring, and a master bathroom decked out in Lapis Lazuli stone hand-picked by European craftsman. 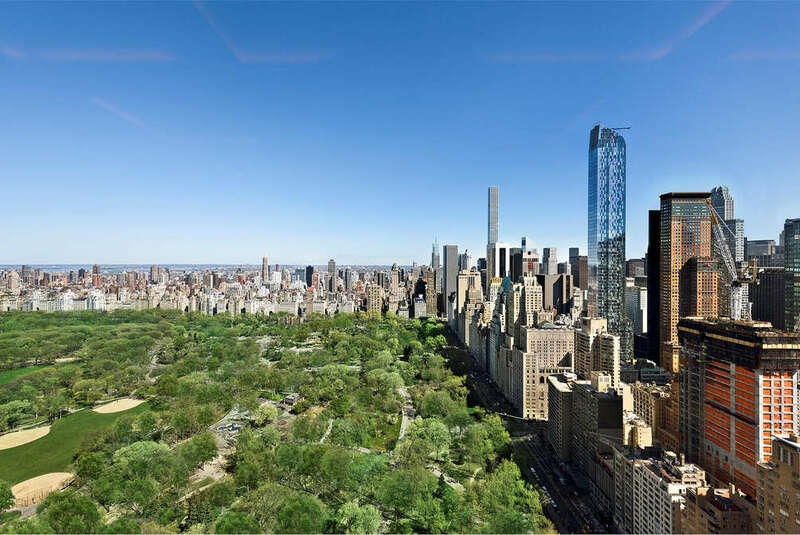 This six-bedroom layout comes with 80 feet of Central Park exposures, plus two others facing the Midtown skyline and Hudson River. 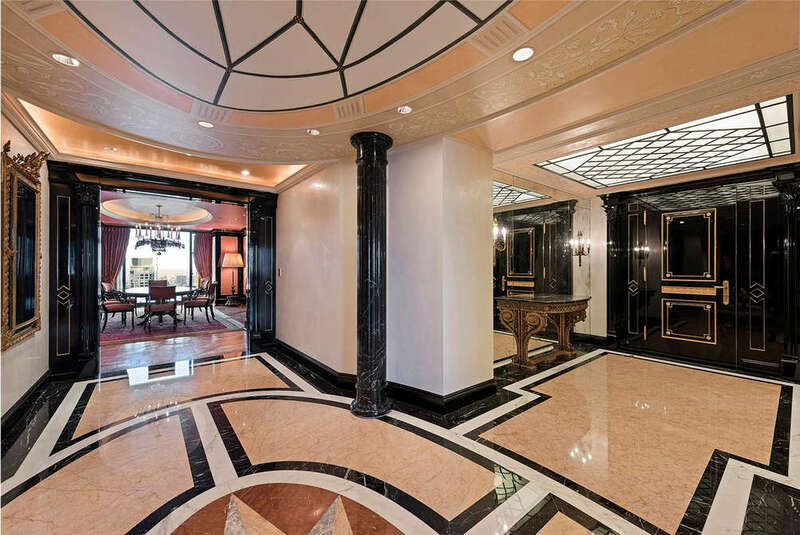 But you may not be as tempted to look outside with all the lavish interior details. 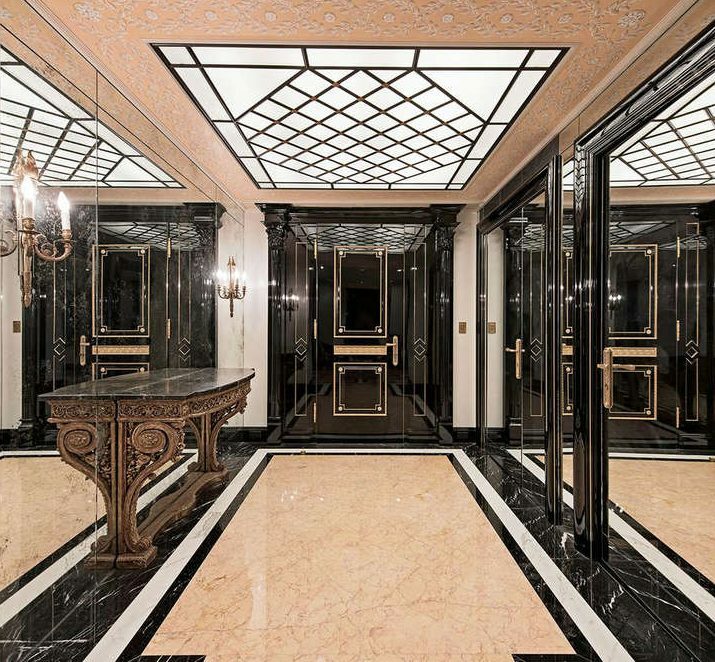 The foyer alone was finished in marble flooring, black lacquered and gold-leaf gilded doors, plus moldings. 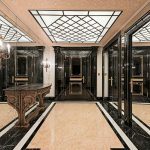 The diverse types of marble flooring includes Nero Marquina, Rosso Alicante, Crema Valencia and White Staturio. 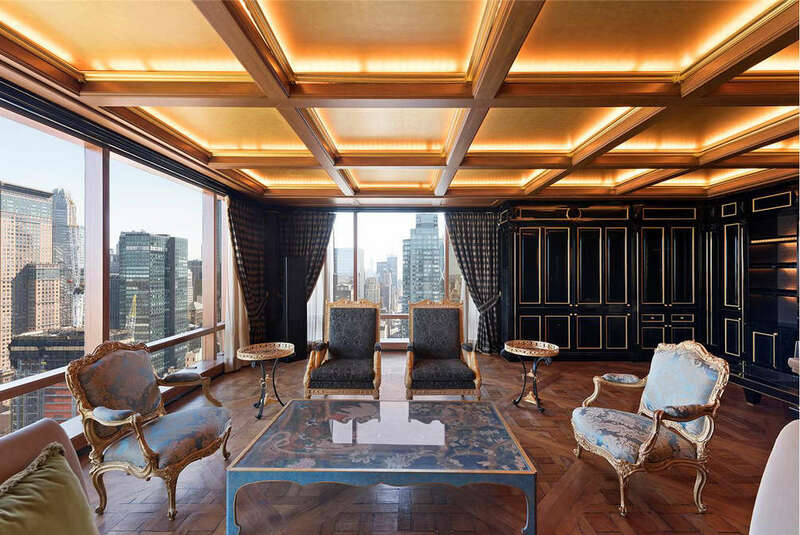 Inside the great room, though, you’ll find parquet de Versailles wood floors reclaimed from a French Chateau alongside custom-built millwork and an illuminated ceiling. 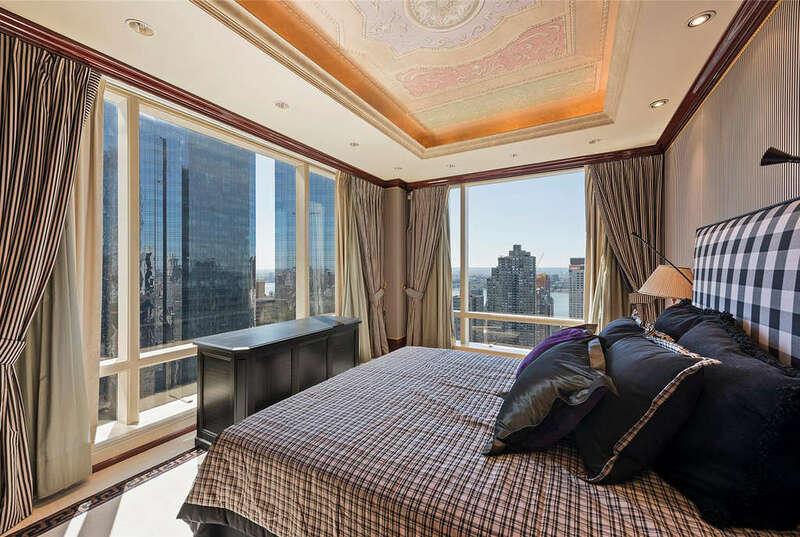 The wall of windows fronts the Midtown skyline. 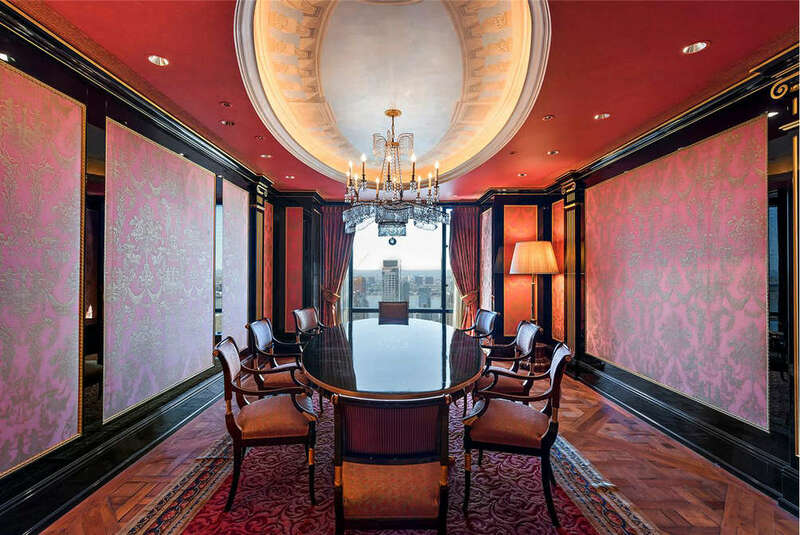 The formal dining room looks out to the Hudson River. 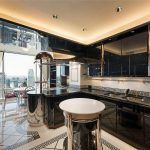 The snazzy, black kitchen was decked out with appliances from Gaggenau and SubZero. 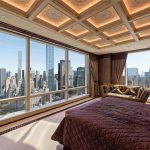 The master bedroom is located in the southeast corner of the apartment, affording both city and park views. 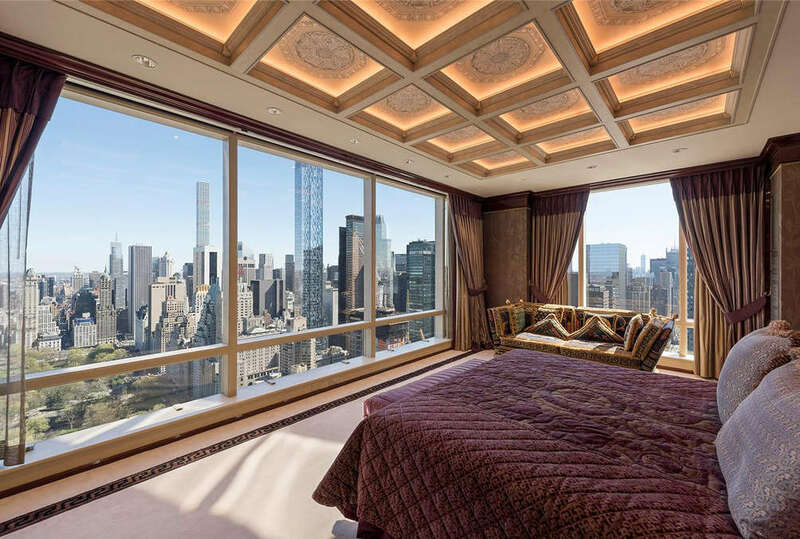 It also has custom ceiling moldings and lighting. 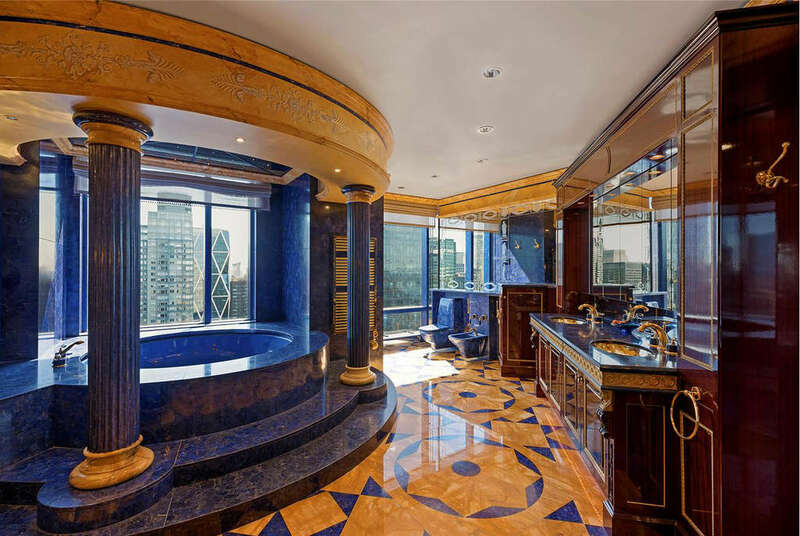 The master bathroom, plastered in the blue Lapis Lazuli stone, boasts a Jacuzzi tub and marble floors. 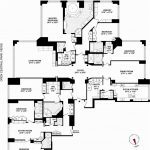 There are five other bedrooms throughout the apartment plus eight–yes, eight–walk-in closets/dressing rooms. 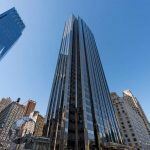 It’s no secret that New Yorkers are hardly fond of Donald Trump, but you’d be hard-pressed to find someone who’s not thoroughly impressed by that view. 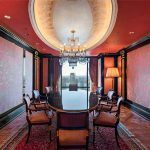 The only question is if the lavish pad will find a buyer after its several rounds of price cuts.